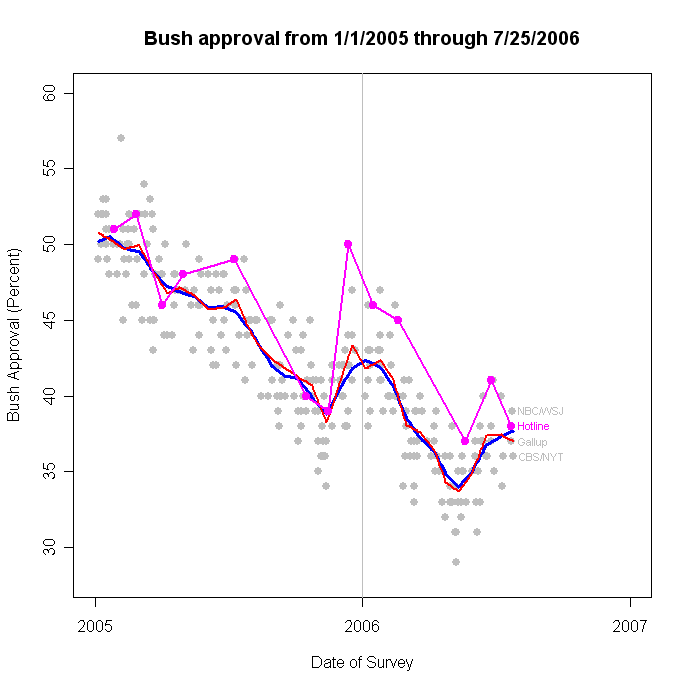 See the earlier post here for a discussion of how the new polling affects my estimates of the trend in approval. Bottom line is that it looks like it has been pretty stable since June 11, despite three polls that reached 40% or more. While my standard blue trend sees some slight continuing increase, the more responsive red line estimator sees flat and a very slight recent decline. But I mean VERY slight. None of these estimates is clear enough to be willing to declare a trend has begun either way. 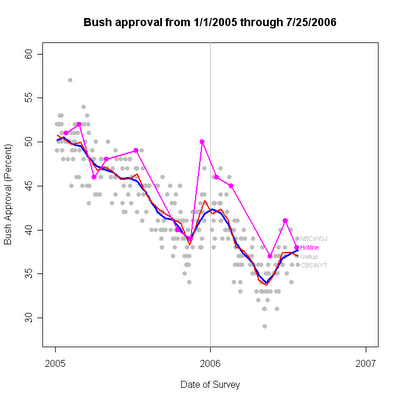 The revised estimates do, however, argue that the rise in approval never actually reached as high as I thought (and the estimators estimated) in early July. It has been a good week for polling after a long drought. Maybe we'll see a couple more by early next week. Maybe they will help determine what is happening to the trend. Maybe.